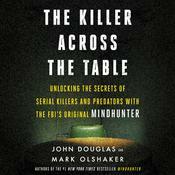 In The Killer Across the Table, John E. Douglas, the legendary FBI criminal profiler, number-one New York Times bestselling author, and inspiration for Netflix’s Mindhunter delves deep into the lives and crimes of four of the most disturbing and complex predatory killers, offering never-before-revealed details about his profiling process, and divulging the strategies used to help crack some of America’s most challenging cases. 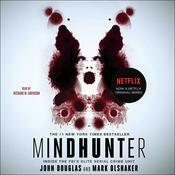 The Killer Across the Table is narrated by Jonathan Groff, who plays Holden Ford on Mindhunter, the character inspired by John E. Douglas. 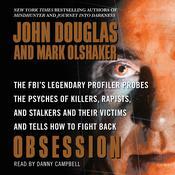 The FBI’s pioneer of criminal profiling, former special agent John Douglas, has studied and interviewed many of America’s most notorious killers—including Charles Manson, ”Son of Sam Killer” David Berkowitz and ”BTK Strangler” Dennis Rader—trained FBI agents and investigators around and the world, and helped educate the country about these deadly predators and how they operate, and has become a legend in popular culture, fictionalized in The Silence of the Lambs and the hit television shows Criminal Minds and Mindhunter. Twenty years after his famous memoir, the man who literally wrote the book on FBI criminal profiling opens his case files once again. In this riveting work of true crime, he spotlights four of the most diabolical criminals he’s confronted, interviewed and learned from. Going deep into each man’s life and crimes, he outlines the factors that led them to murder and how he used his interrogation skills to expose their means, motives, and true evil. 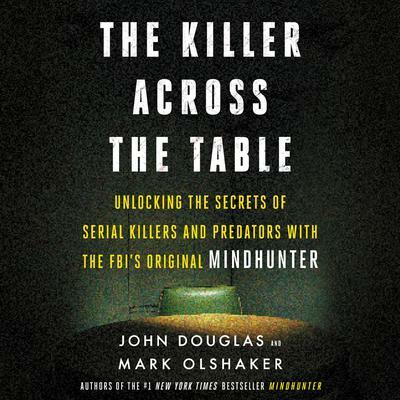 Like the hit Netflix show, The Killer Across the Table is centered around Douglas’ unique interrogation and profiling process. 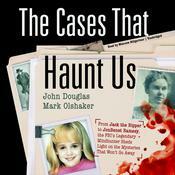 With his longtime collaborator Mark Olshaker, Douglas recounts the chilling encounters with these four killers as he experienced them—revealing for the first time his profile methods in detail. Going step by step through his interviews, Douglas explains how he connects each killer’s crimes to the specific conversation, and contrasts these encounters with those of other deadly criminals to show what he learns from each one. In the process, he returns to other famous cases, killers and interviews that have shaped his career, describing how the knowledge he gained from those exchanges helped prepare him for these. A glimpse into the mind of a man who has pierced the heart of human darkness, The Killer Across the Table unlocks the ultimate mystery of depravity and the techniques and approaches that have countered evil in the name of justice. 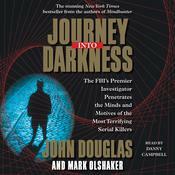 John E. Douglas is a former FBI special agent, the Bureau’s criminal profiling pioneer, and one of the creators of the Crime Classification Manual. He is currently a consultant on criminal investigative analysis and the author, with Mark Olshaker, of Journey into Darkness, The Anatomy of Motive, The Cases That Haunt Us, and Law & Disorder, among others. Mark Olshaker is an Emmy Award–winning filmmaker and a New York Times bestselling nonfiction author. 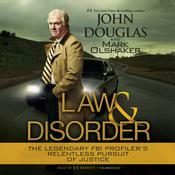 His seven books with former FBI Special Agent and criminal profiling pioneer John E. Douglas, beginning with Mindhunter, have sold millions of copies, been translated into many languages, and along with his Emmy-nominated PBS film Mind of a Serial Killer, made Olshaker a sought-after speaker and consultant on law enforcement–related issues.